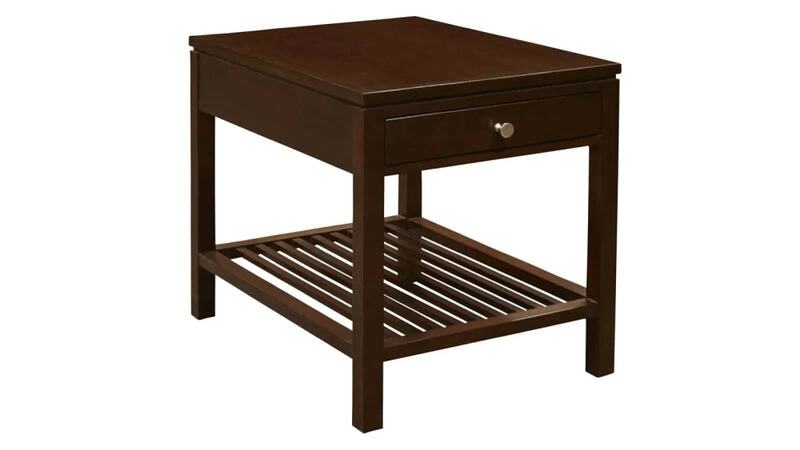 Crafted from solid cherry wood, this end table offers a contemporary style. 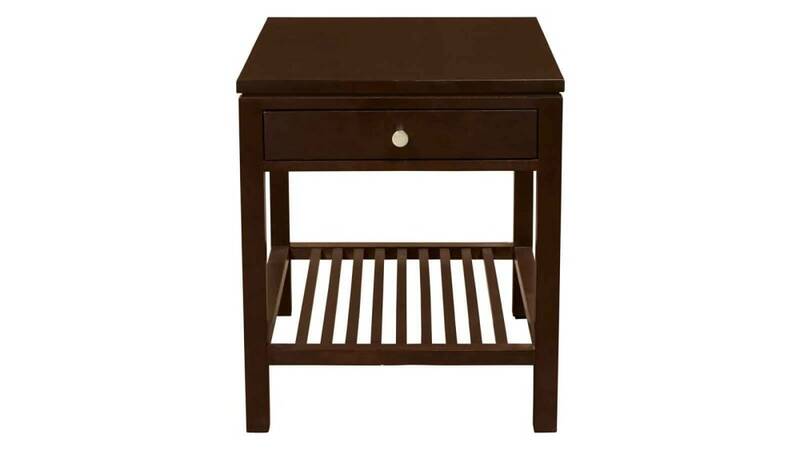 Shelf slats allow extra storage, as does the single, side-guided drawer. 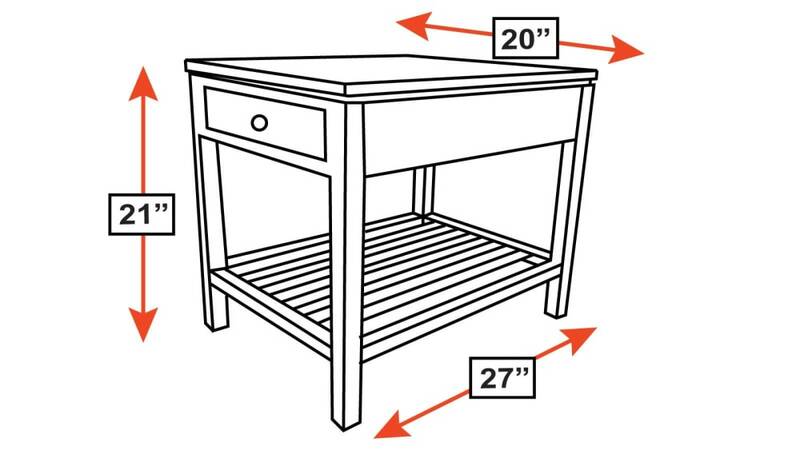 Thanks to the scale, this table will fit into almost any home.